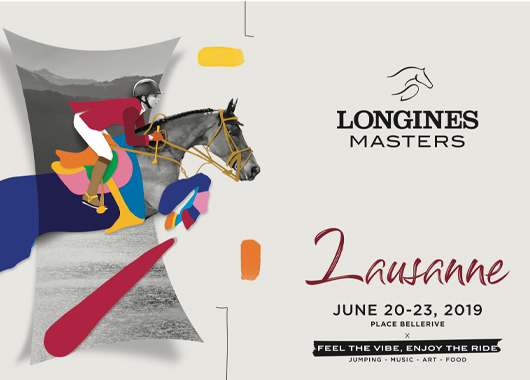 EEM is proud to present the new leg of the Longines Masters Series, which will be held in Lausanne, from June 20 to 23, 2019. After Paris, Hong Kong and New York, the Series will settle on the pristine shores of Lac Leman, in the Olympic Capital of Lausanne. The new Longines Masters of Lausanne will celebrate the beauty of the equestrian sport as the best show jumping riders and horses in the world will compete in the Olympic capital of the world, home the FEI, the IOC and no less than 50 sport related organizations. With prestigious partner brands, celebrity guests, unique shopping experiences, fine dining and family activities, the Longines Masters of Lausanne is set to become a very unique rendez-vous on the sporting and social calendar.